Stroke is a major public health issue with limited treatment. The pharmacologically or mechanically removing of the clot is accessible to less than 10% of the patients. 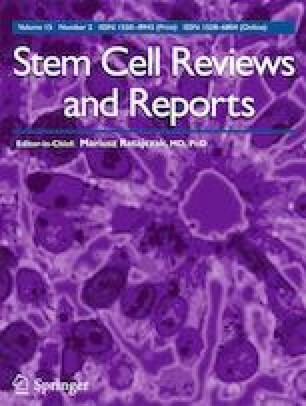 Stem cell therapy is a promising alternative strategy since it increases the therapeutic time window but many issues remain unsolved. To avoid a new dramatic failure when translating experimental data on the bedside, this review aims to highlight the indispensable checkpoints to make a successful clinical trial based on the current preclinical literature. The large panel of progenitors/ stem cells at the researcher’s disposal is to be used wisely, regarding the type of cells, the source of cells, the route of delivery, the time window, since it will directly affect the outcome. Mechanisms are still incompletely understood, although recent studies have focused on the inflammation modulation of most cells types. GM was funded by the RESSTORE project that has received funding from the European Union’s Horizon 2020 research and innovation programme under grant agreement No 681044 RESSTORE project (www.resstore.eu). The authors wish to thank the site smart.servier.fr for their image bank, which was used in part for the graphical illustration. Organization WH. The top 10 causes of death. http://www.who.int/news-room/fact-sheets/detail/the-top-10-causes-of-death. Accessed 24 May 2018. Organisation WH. Priority Medicines for Europe and the World 2013 Update. http://www.who.int/medicines/areas/priority_medicines/MasterDocJune28_FINAL_Web.pdf. Accessed 9 July 2013.
trials RaMaEc. RESSTORE REgenerative Stem cell therapy for STroke in Europe. https://clinicaltrials.gov/ct2/show/NCT03570450. Accessed 27 June 2018.